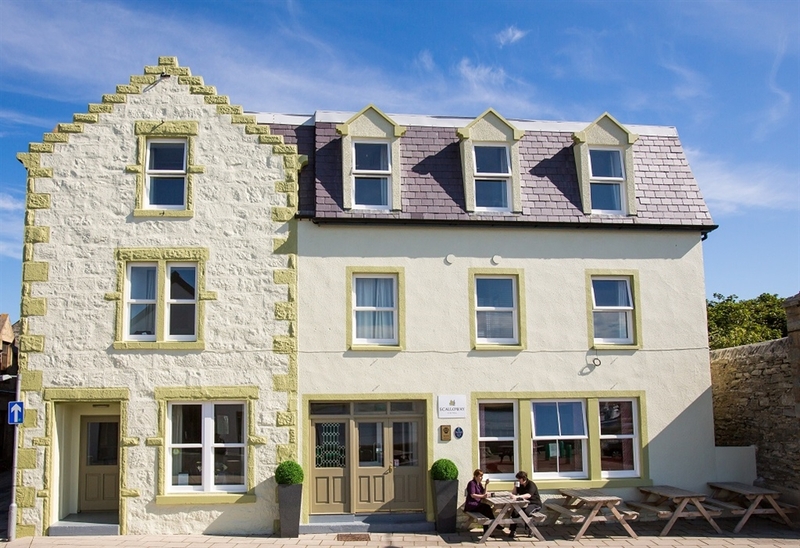 The Scalloway Hotel, on the village waterfront, is a family-run business which prides itself on using the best quality local produce. Diners in the bar can enjoy beer-battered haddock and hand-cut chips or Shetland ale and Orkney beef pie. The catch of the day might be fresh langoustines or baked tusk with a mussel and crab chowder. In the dining room, the menu often includes dishes like rack of Shetland lamb, lobster or confit of halibut. An interesting wine list featuring both the Old and New World is there to complement your meal, along with a wide selection of malt whiskies and gins. Please click here te see our latest reviews on TripAdvisor for our restaurant.